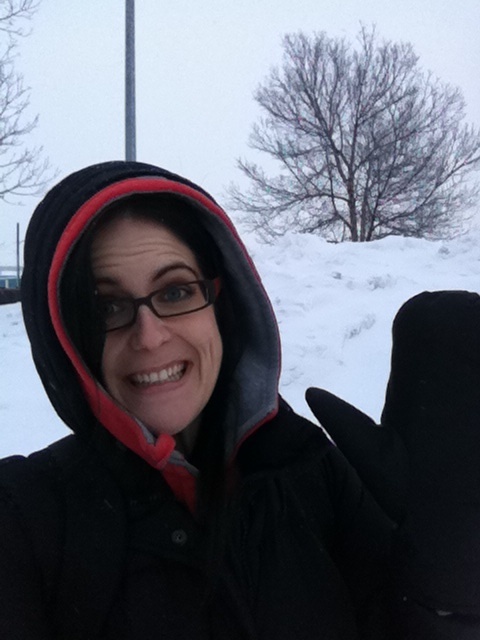 You are here: Home / Blog / When Life Gives You Snow, Make Snowballs! Growing up it was always so exciting when it snowed. I grew up on the West Coast, so snow days were definitely a treat. My brother, sister, and I would excitedly dress in our scarves, mittens, and hats and run out into the snow with gusto. We made sure to step in the same places so as not to smoosh down too much snow that we could have as much snow as possible to make igloos, snowmen, and have a snowball fight. 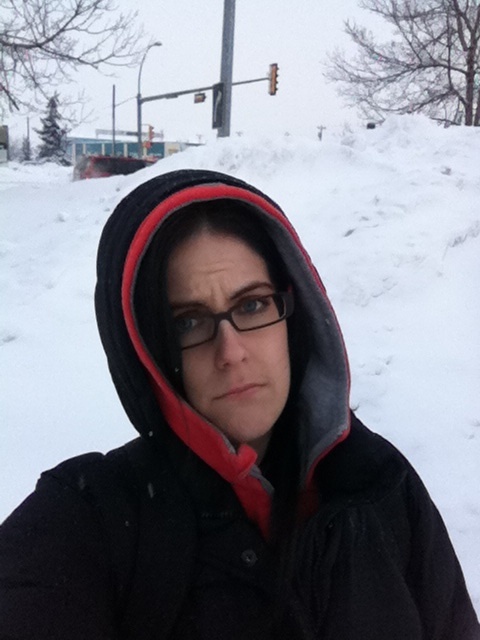 Now I live in Edmonton and I get snow all of the time, epic amounts of snow! Somehow it has lost its charm. Today it warmed up to -20 and snowed on and off all day and I feel like complaining….complaining about more than just the snow. I feel like complaining about my muffin top, the fact that I have Hashimoto’s, and am hungry but can’t eat more food because I am on contest prep. Today I just want dark chocolate smothered in peanut butter, and A LOT of it. Where did my love of the snow go? I forgot that I am in charge of who I am. I can’t control circumstances or other people, no matter how much I want to; but I get to control who I am and how I am going to be. I get to choose to be fabulous and full of joyful anticipation and dedication or be a grumpy complainer. Being a grumpy complainer gets you nowhere! Who wants to be this woman? Not I! I don’t want to view the world with disdain and frustration; that’s no way to live! I only get one kick at the can, so I am going to make it a joyful kick! I'm about to lob at snowball at you, watch out! It’s time to find my love of snowballs once again. I get to choose and so I choose to be the best Donloree possible, which means loving life and living to the full even when it’s 20 below zero! It may be cold outside, but its warm in my heart! So how did Sean like his snowball? !